Ayrshire Golf Scotland was delighted to partner up with Callaway Golf, No Laying up and Visit Scotland for an #EpicScotland sweepstakes that included a round trip flight to Scotland, a full set of brand new Callaway Clubs, and four incredible rounds of golf to two lucky winners. 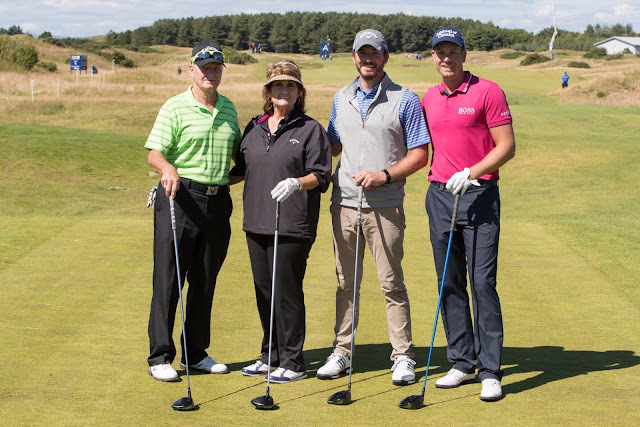 Chad Coleman from Callaway Golf along with Chris Solomon from No Laying up, experienced all that Ayrshire had to offer including playing in the Aberdeen Asset Management Scottish Open Pro-Am, as well as rounds at Royal Troon, Prestwick, Turnberry, plus some extras that they snuck in along the way. Click here to listen to their fantastic podcast show.